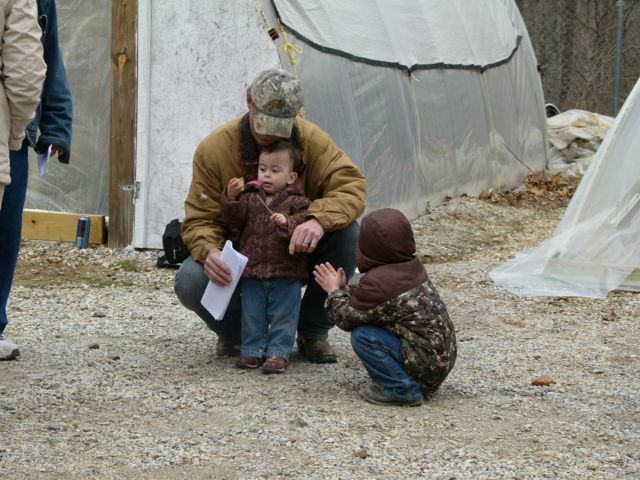 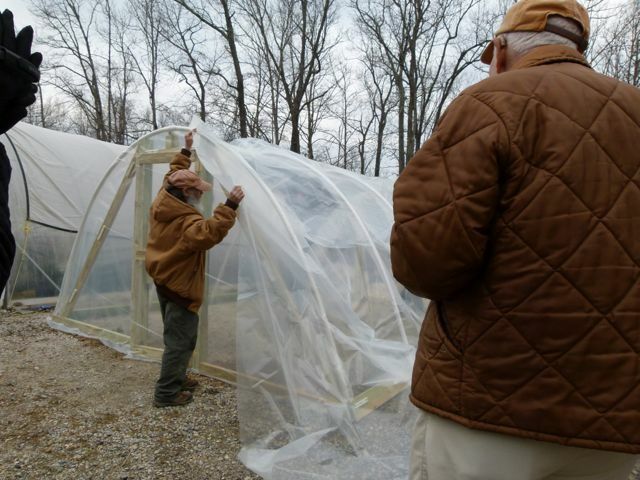 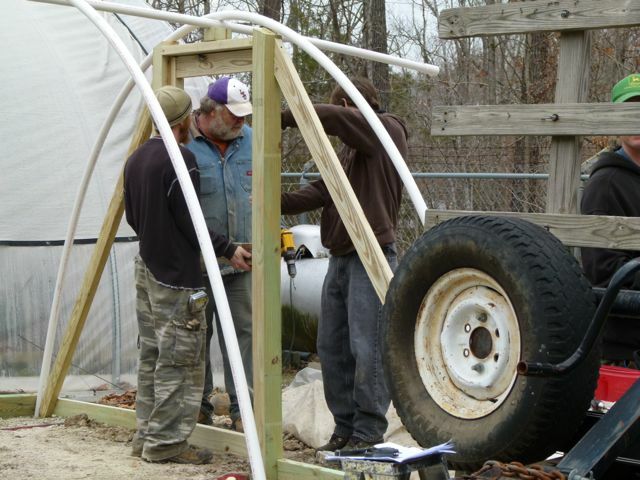 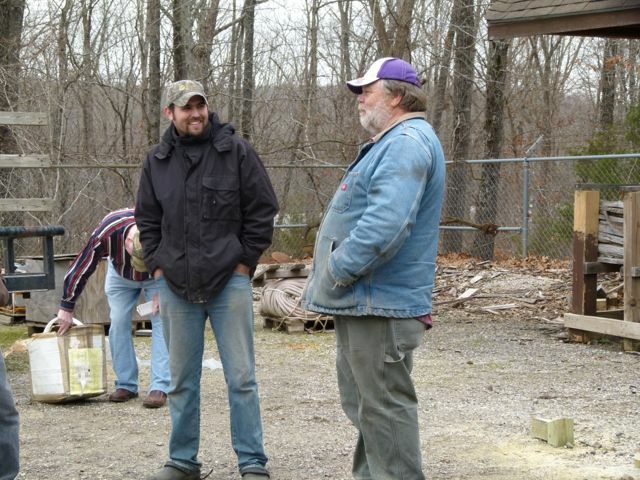 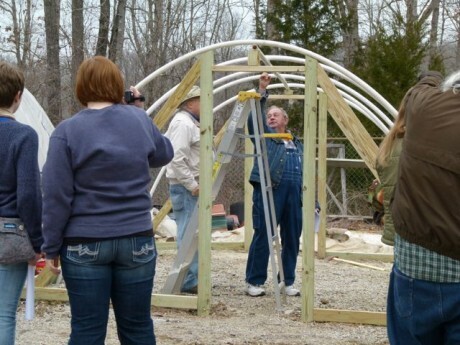 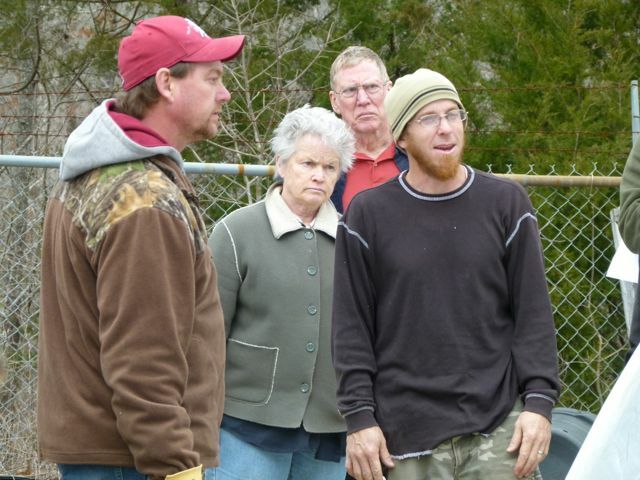 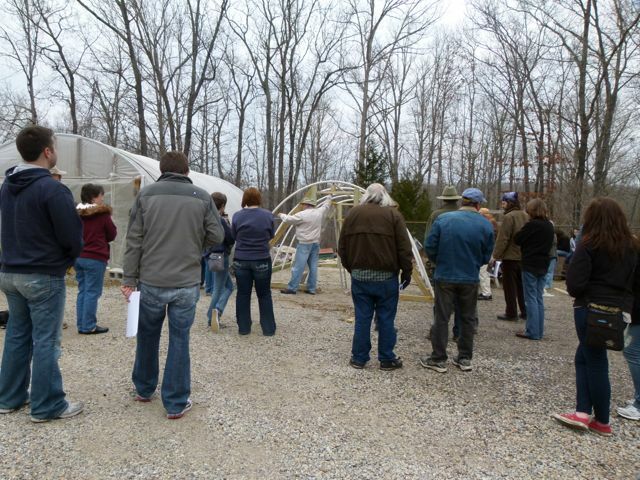 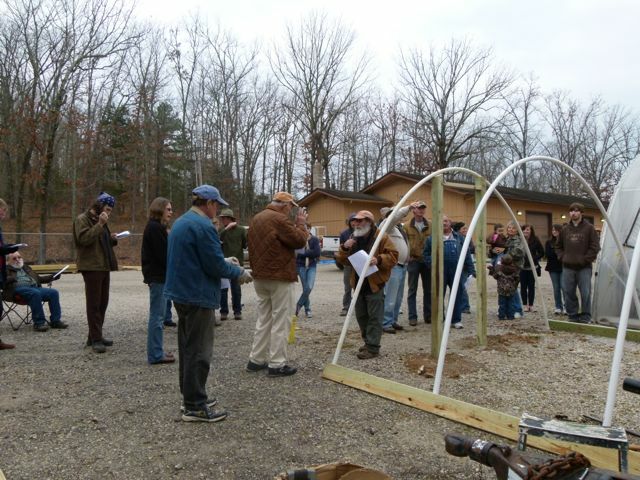 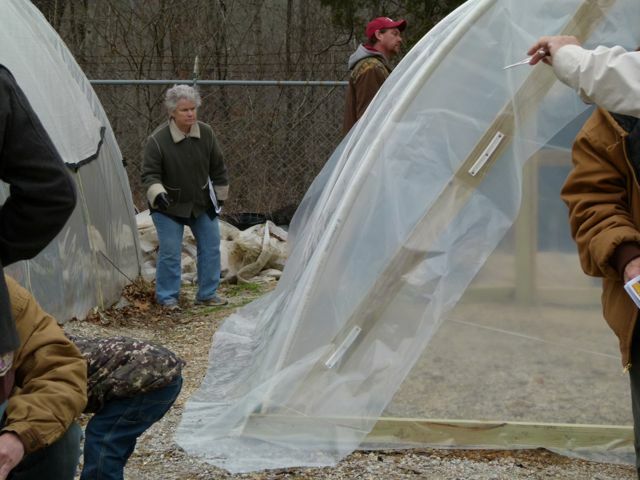 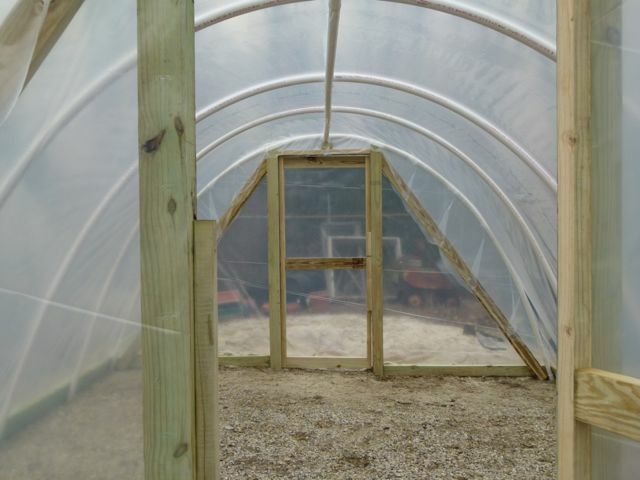 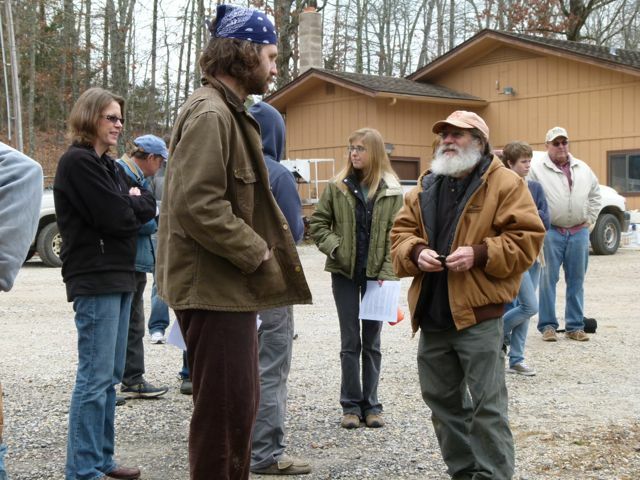 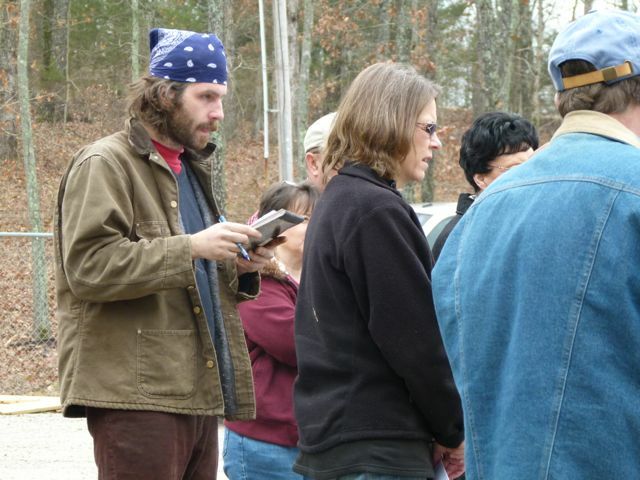 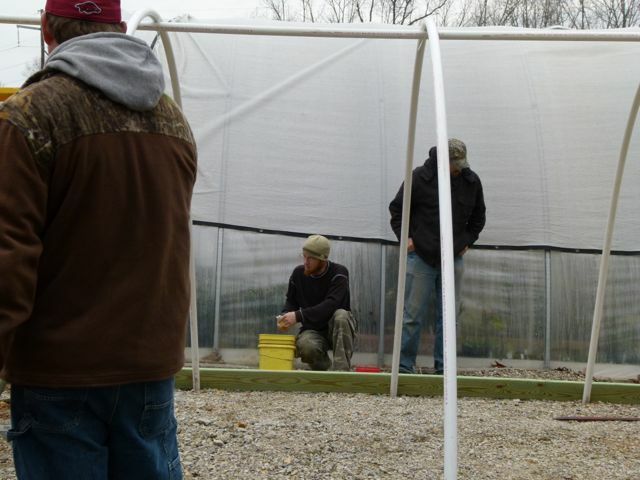 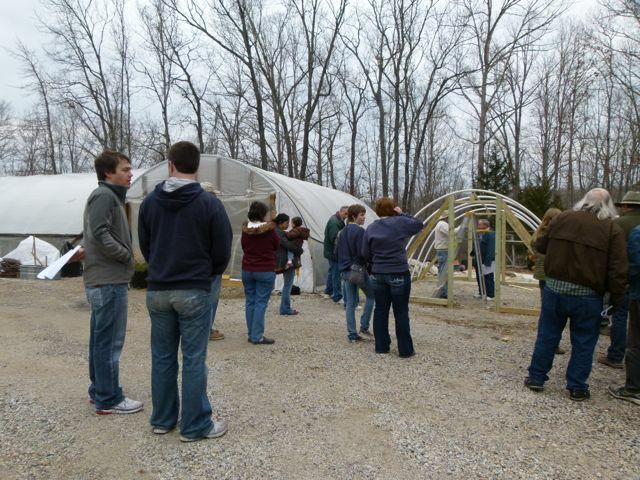 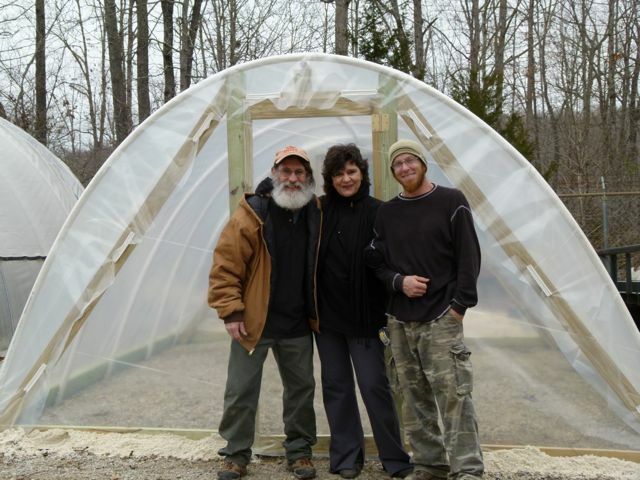 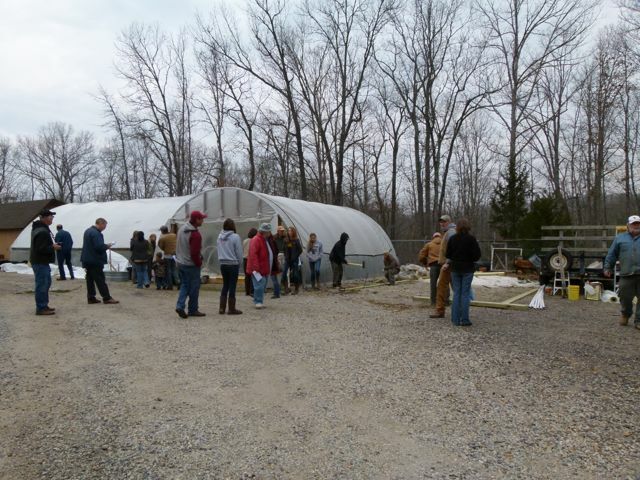 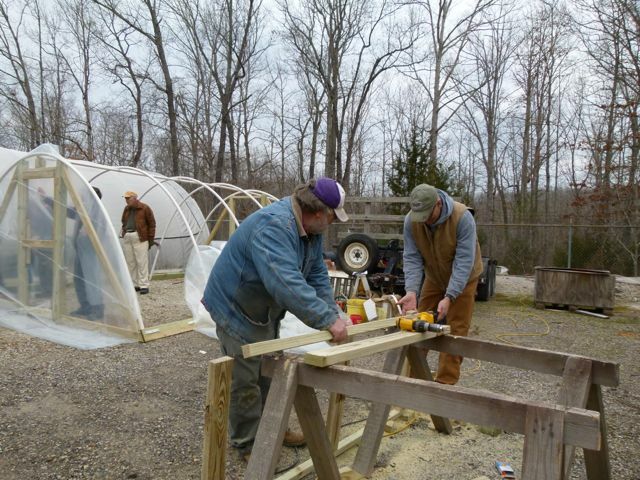 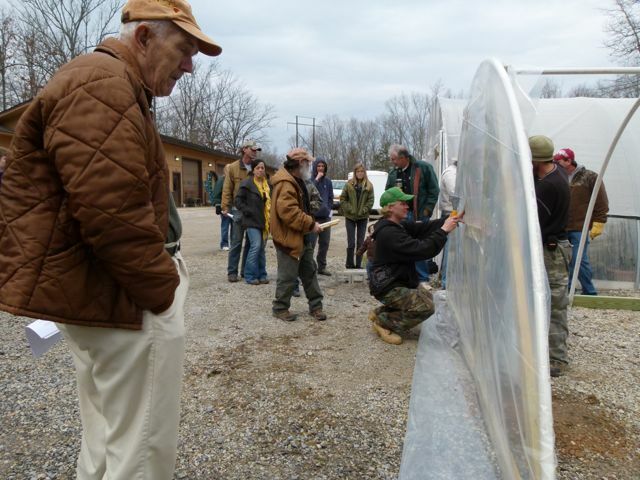 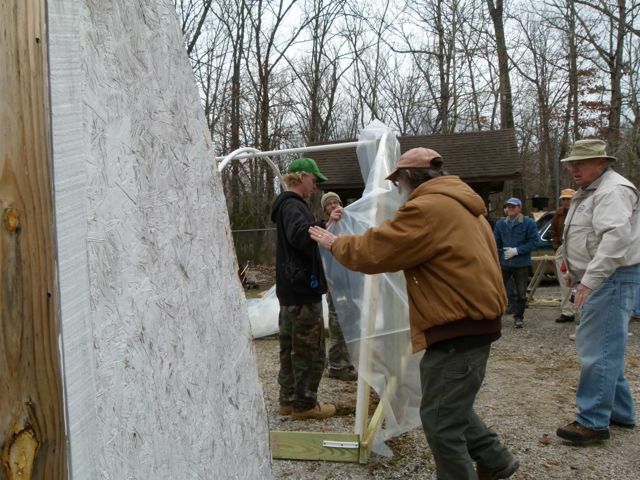 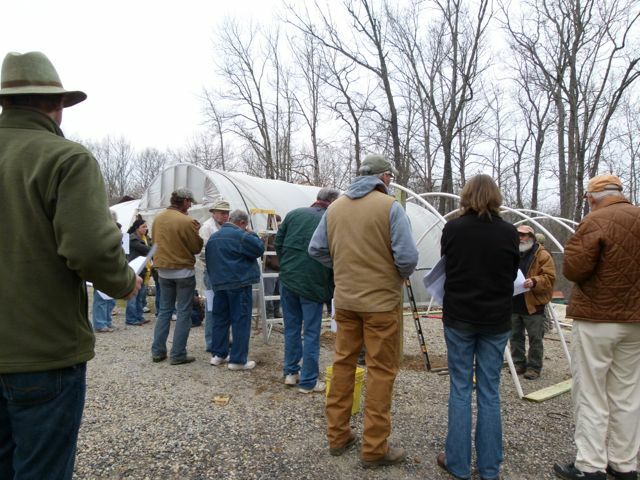 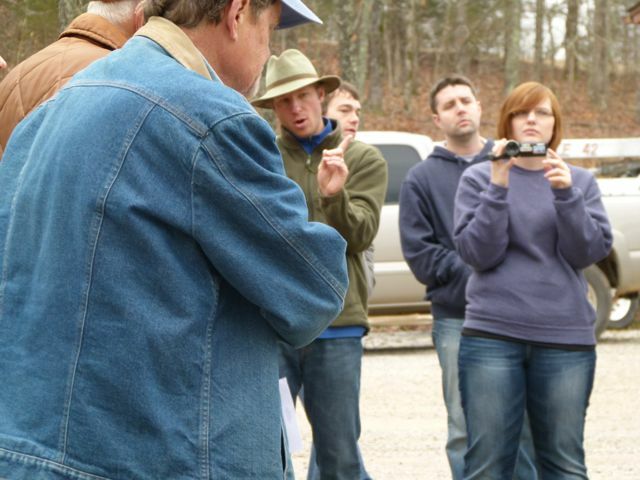 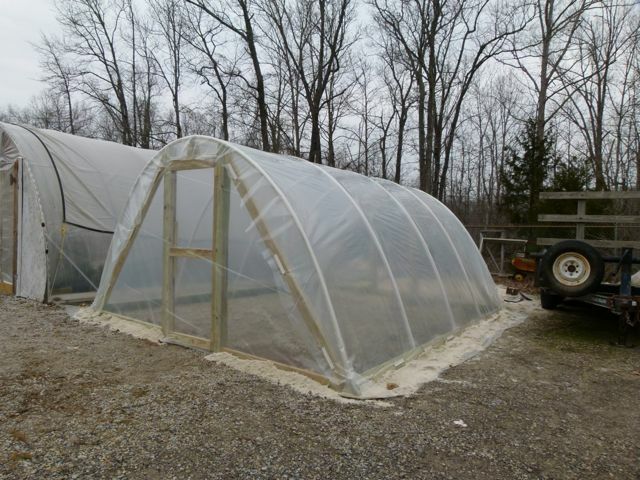 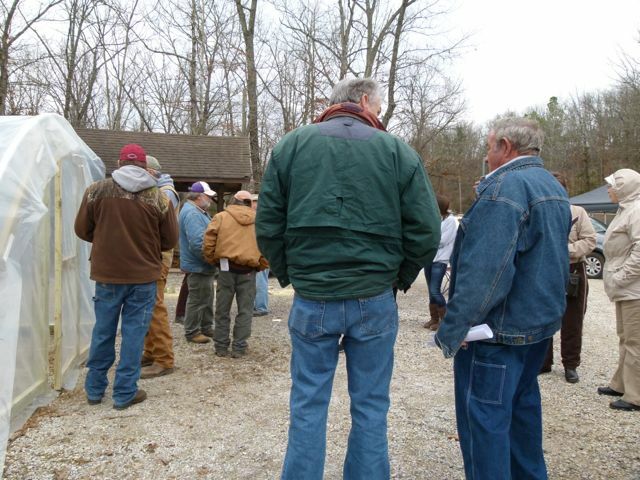 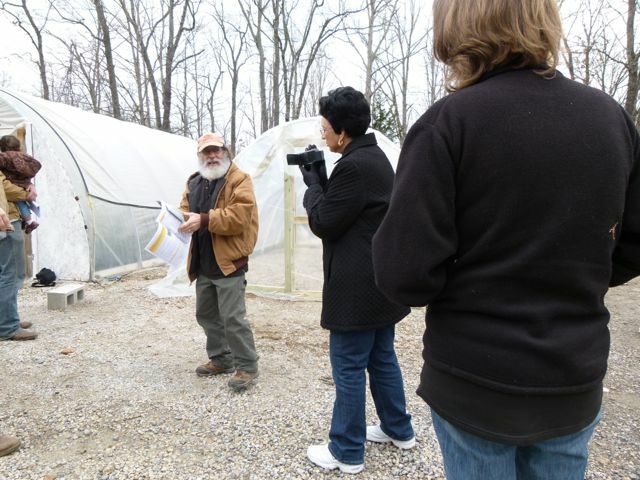 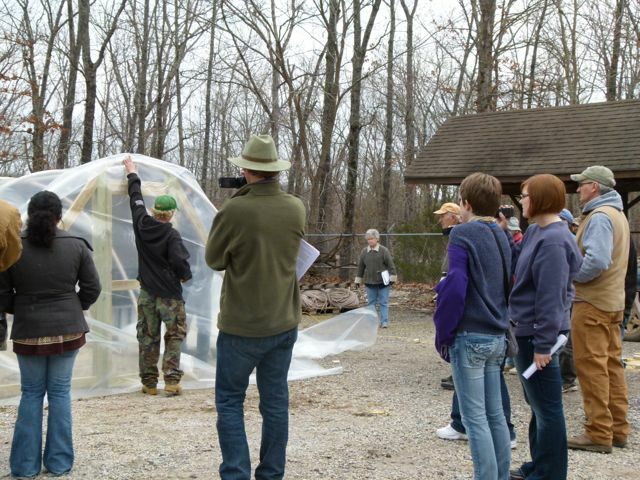 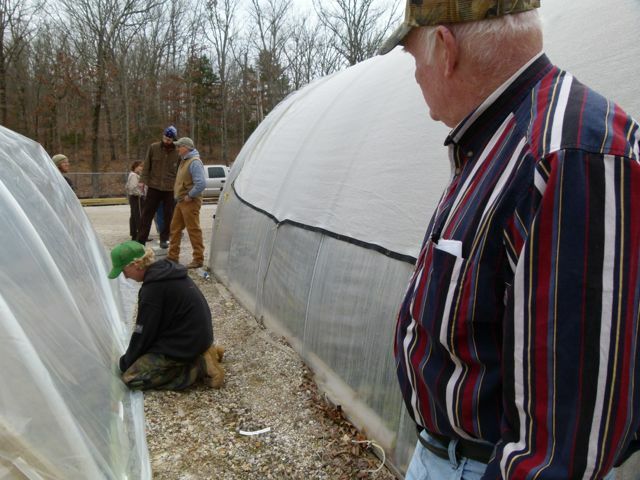 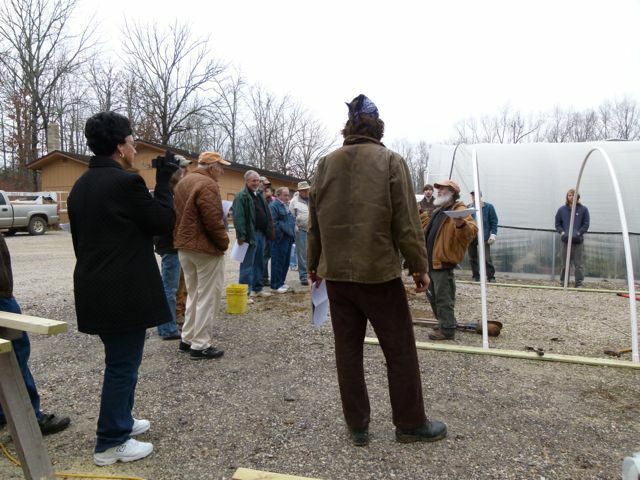 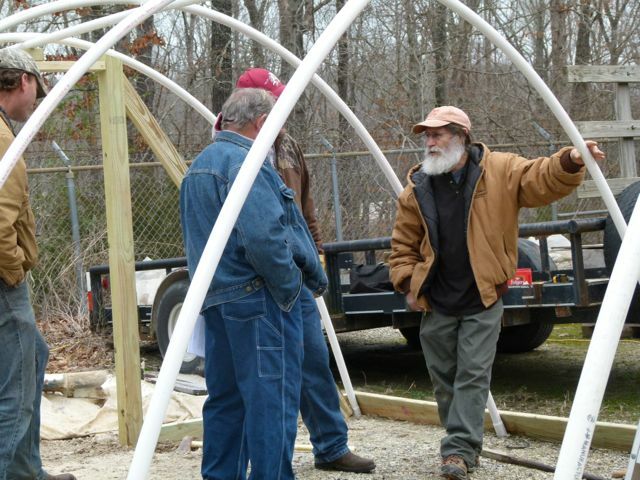 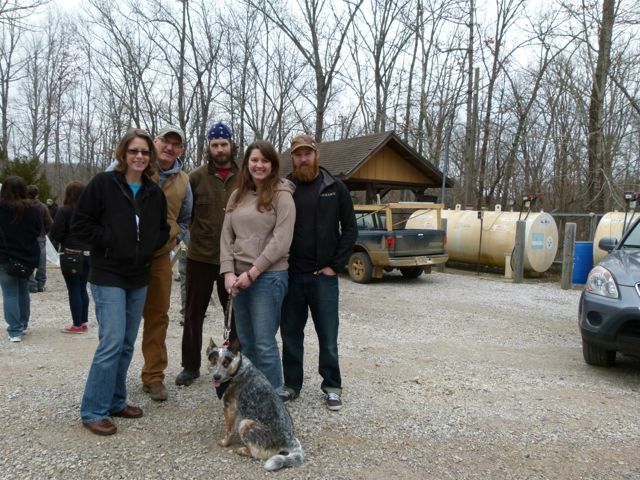 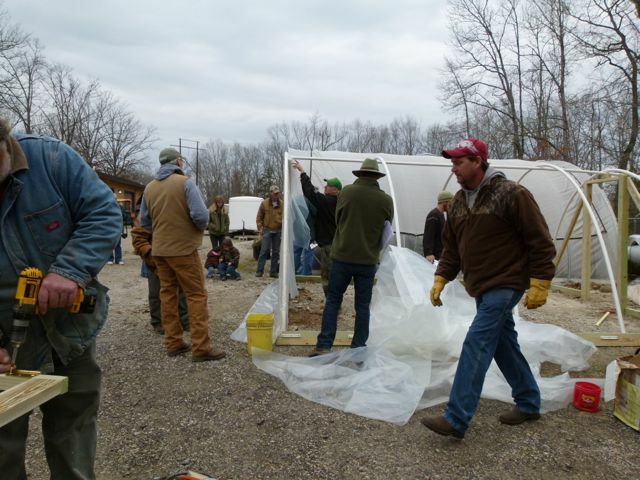 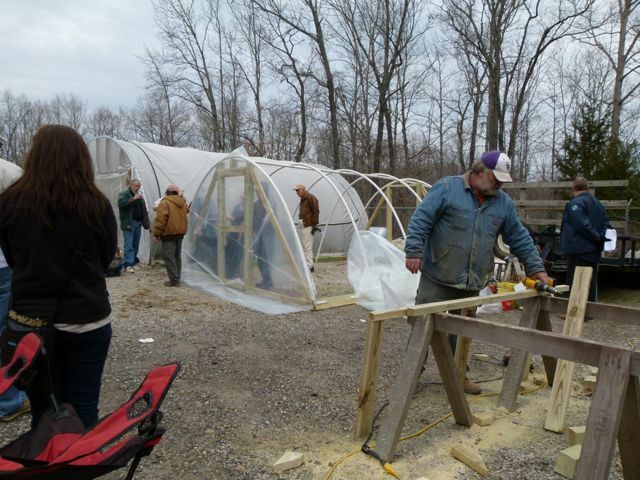 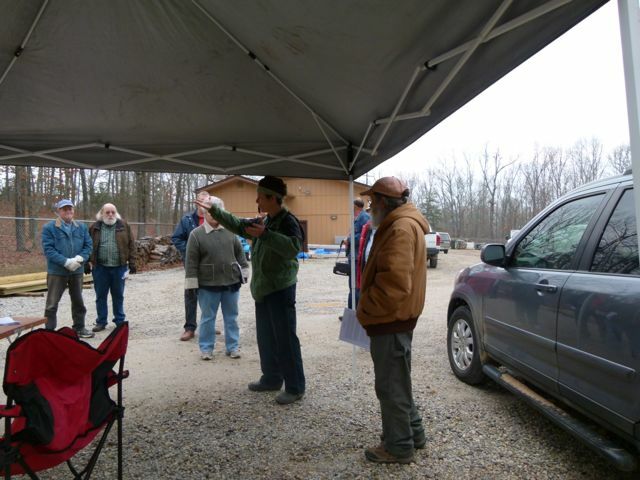 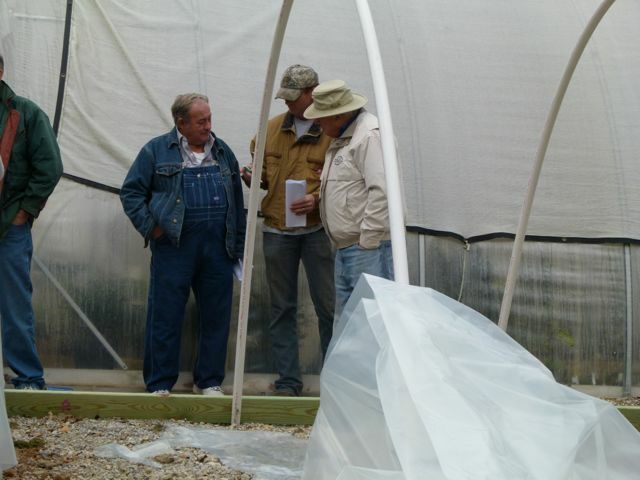 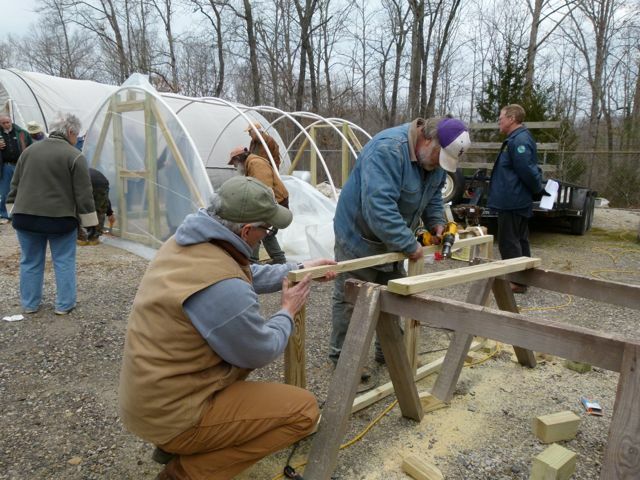 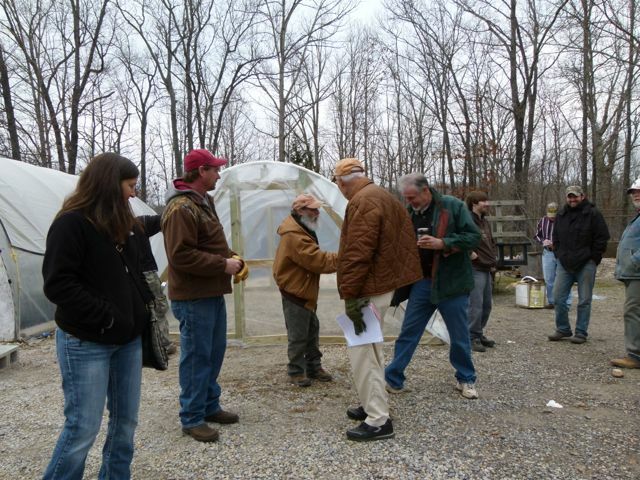 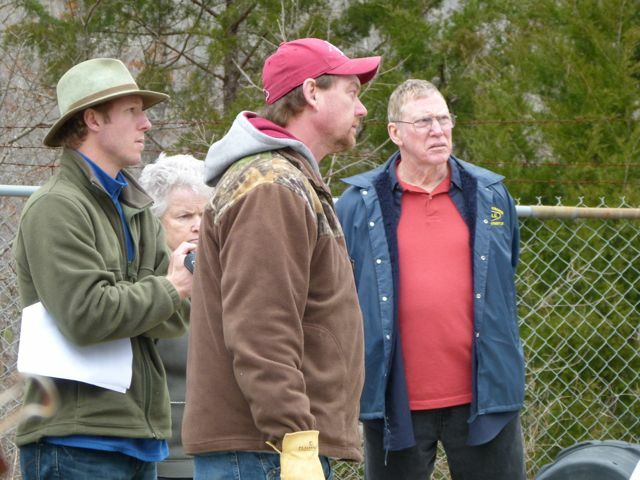 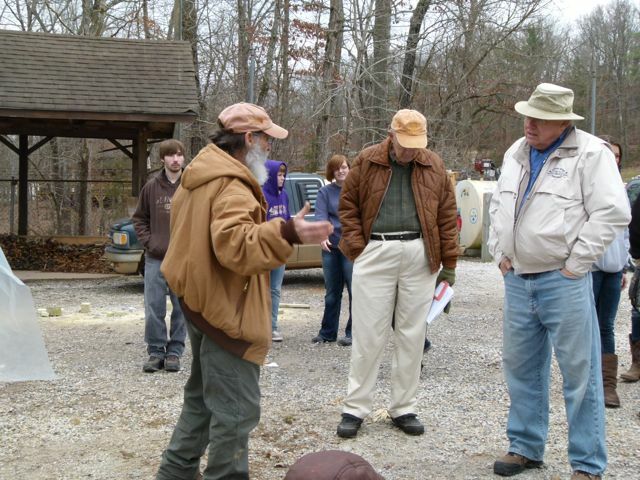 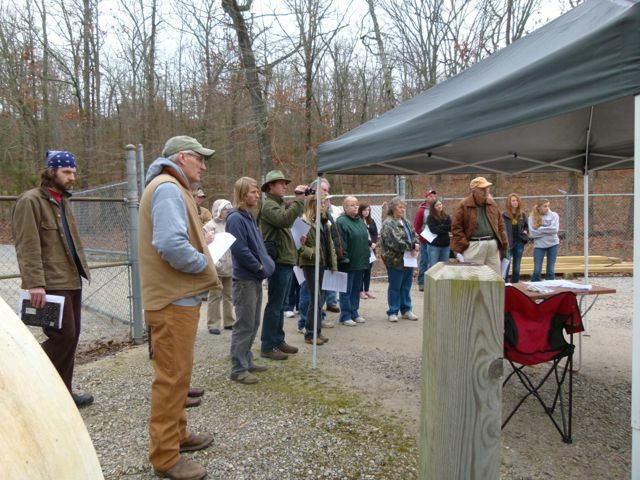 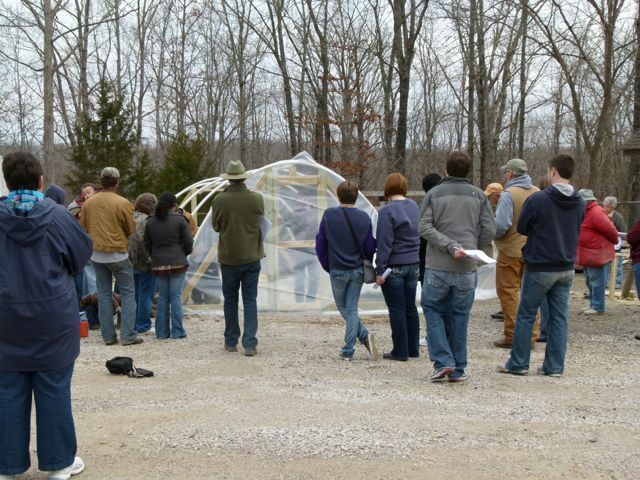 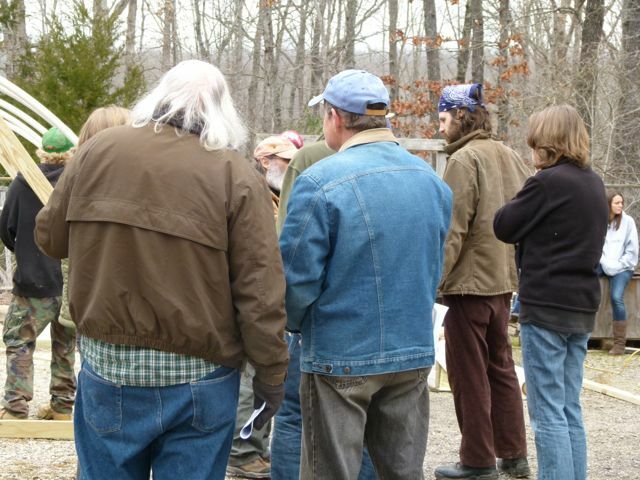 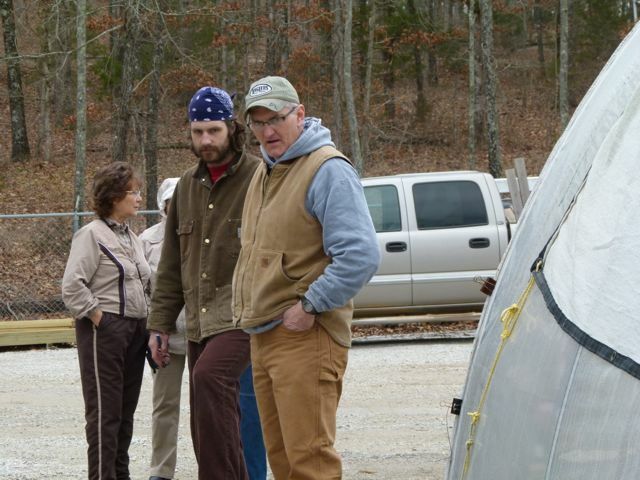 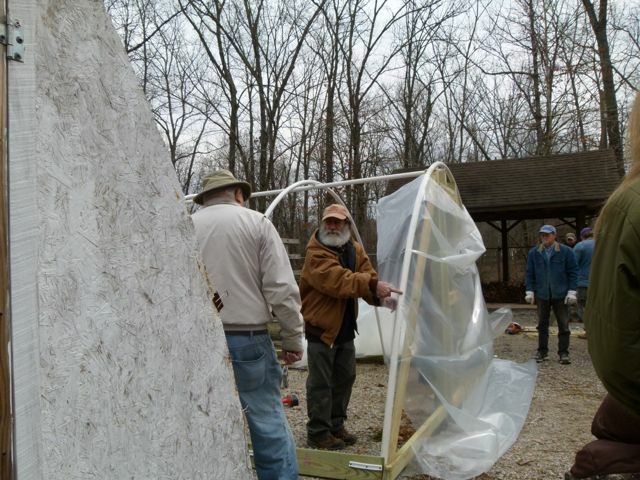 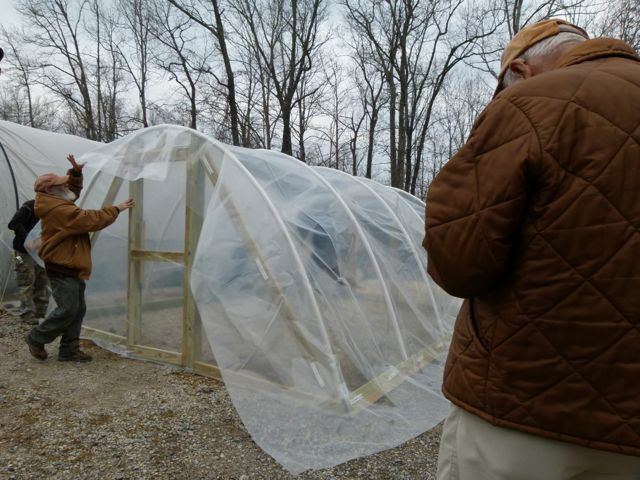 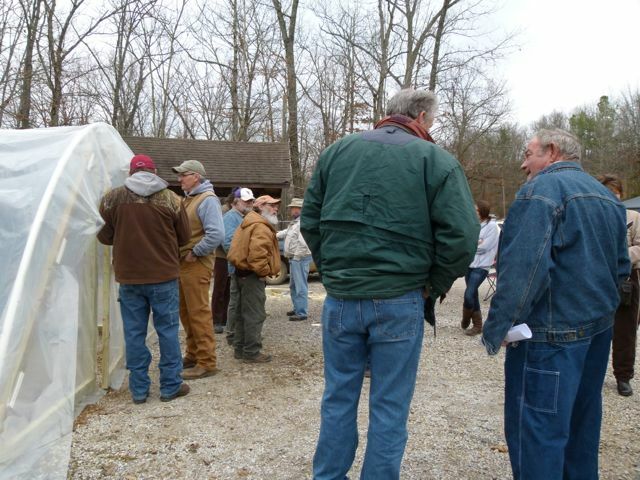 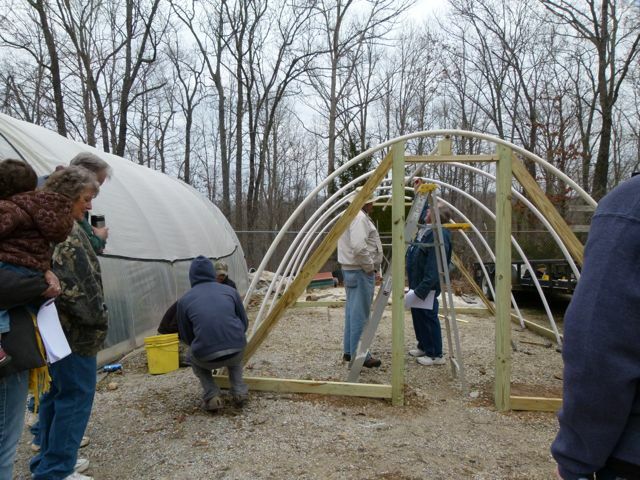 The Ozark Folk Center became a new site for a LINKPROJECT cold frame on February 18, 2012. 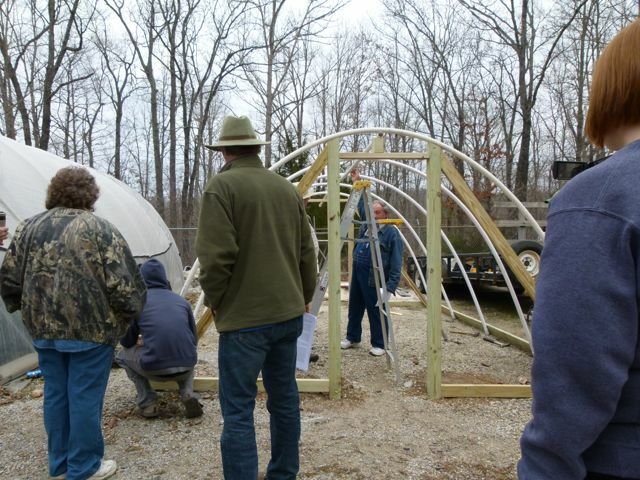 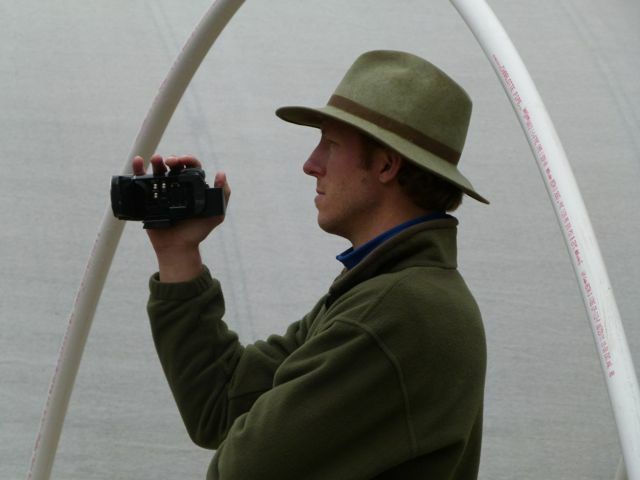 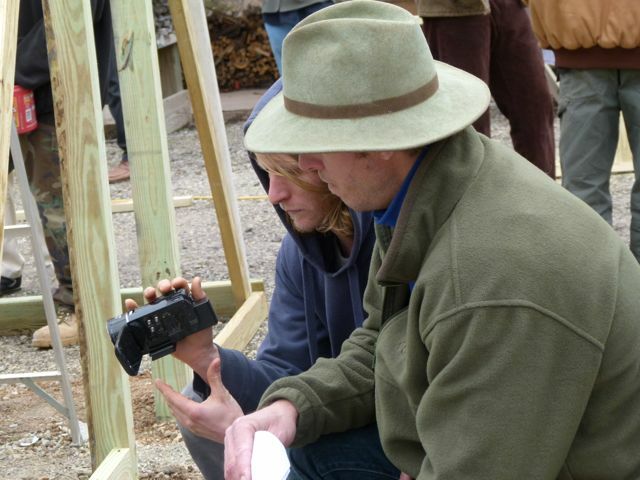 We, along with our Host, Folk Center herbalist, Tina Wilcox, welcomed over forty participants who watched, asked questions, took notes, videotaped and/or participated in erecting the 16′ structure. 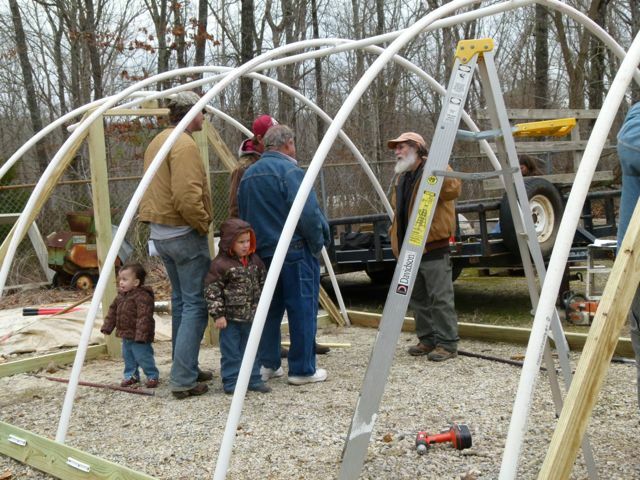 We had a surprise visit from new Folk Center Director, Joe Buckley, and his wife, Stephanie, who stopped by with their family to view the work-in-progress. 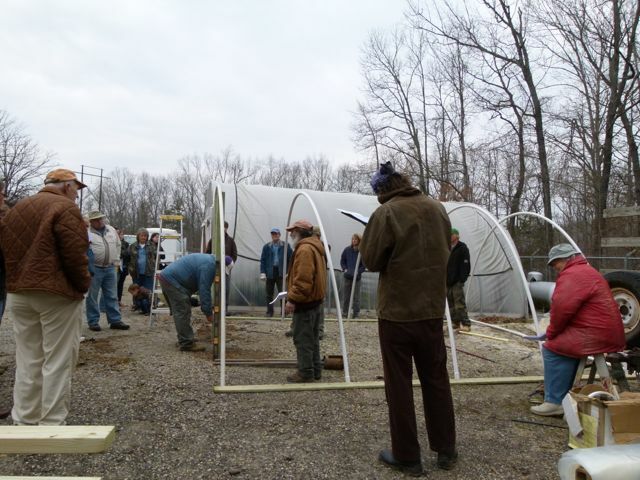 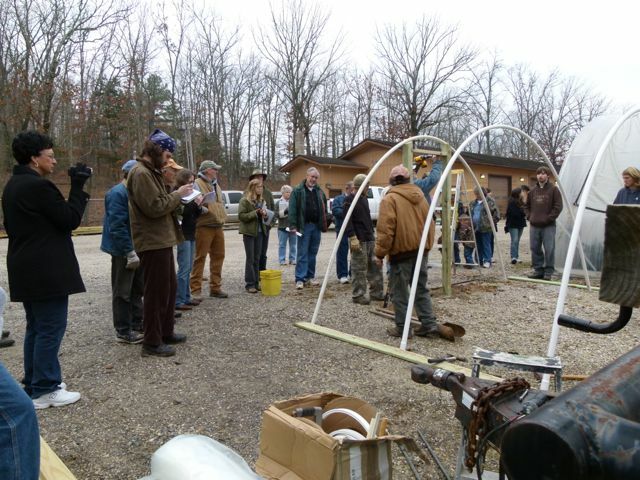 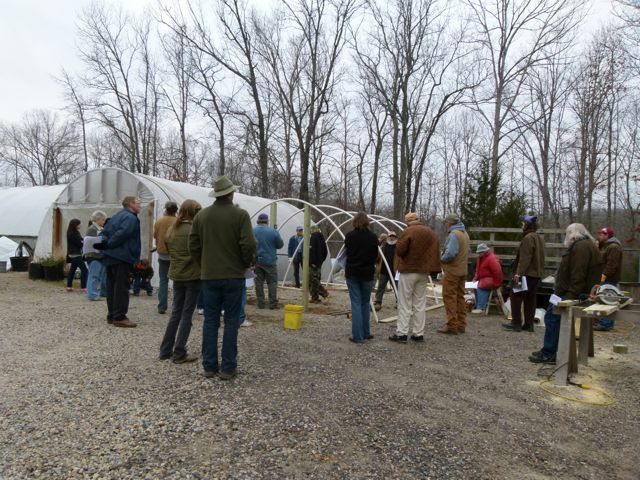 Paired with the annual Ozark Seed Swap that took place that same day at the Folk Center, our workshop’s straightforward presentation and detailed instructions provided attendees with confidence they could construct and/or manage construction of their own cold frames. 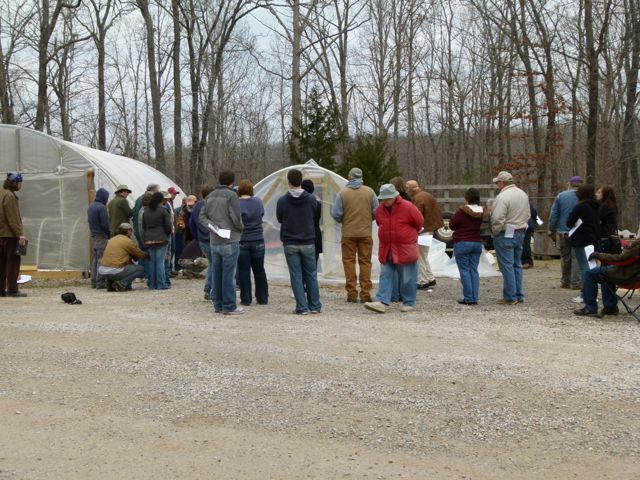 We were especially pleased to share the workshop with serious growers who came to focus on preserving Arkansas’ heritage crops such as Dr. Brian Campbell and his UCA students.Here are some shots of us at the Folk Center cold frame workshop.